On Sunday's World News on ABC, correspondent David Kerley filed a report highlighting anti-Newt Gingrich comments from a number of Republicans who used to serve in the House of Representatives with the former Speaker, and, although at least half the members cited as criticizing Gingrich have a history of being moderate Republicans, Kerley did not inform his viewers of this aspect of their political history which may affect their negative view of him. I saw the damage he did to the Republican Party and to the Congress. And I think I owe it to my constituents and to the country not to allow that to happen again. And if he did that as Speaker, I'm really concerned what he would do as our nominee for President. After a clip of the more conservative Senator Tom Coburn of Oklahoma and a clip from former New Hampshire Governor John Sununu - who as White House chief of staff is credited with recommending the closet liberal David Souter as a Supreme Court nominee to former President George H.W. Bush - the ABC correspondent then turned to another moderate Republican, former New York Represenative Susan Molinari, who admitted to being "terrified to death" of Gingrich becoming the Republican nominee. Molinari: "Most of us are terrified to death that he would become the Republican nominee." Tom Davis served and was promoted by Gingrich, but won't give him his endorsement. Some Republicans have told me: Listen, this is a guy who couldn't run the House of Representatives. How is he going to run the country? The complaints? Gingrich had a million ideas, but many were a distraction. He lacked discipline and often put himself before the party. Some Republicans were fed up. In fact, a coup led by then-House member Lindsey Graham in the late '90s failed. Today, Graham said Gingrich has matured, but won't get his endorsement, either. DAVID MUIR: And when you're atop the field, the incoming fire grows, and the attacks on Newt Gingrich are not confined to the campaign trail. Gingrich is now taking heat from his former colleagues on Capitol Hill, colleagues from the same party. 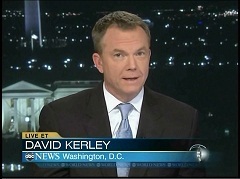 Here's ABC's David Kerley. DAVID KERLEY: With another decent debate performance, Newt Gingrich is now frightening some of his own party. REP. PETER KING (R-NY): I saw the damage he did to the Republican Party and to the Congress. And I think I owe it to my constituents and to the country not to allow that to happen again. And if he did that as Speaker, I'm really concerned what he would do as our nominee for President. KERLEY: And it's not just one Republican. Others who worked with the former Speaker are loudly denouncing him. SENATOR TOM COBURN (R-OK): I just found his leadership lacking. FORMER GOVERNOR JOHN SUNUNU (R-NH): I believe Newt Gingrich is a Gingrich-ite. All he cares about is Newt Gingrich. FORMER REP. SUSAN MOLINARI (R-NY): Most of us are terrified to death that he would become the Republican nominee. KERLEY: Tom Davis served and was promoted by Gingrich, but won't give him his endorsement. Some Republicans have told me: Listen, this is a guy who couldn't run the House of Representatives. How is he going to run the country? FORMER REP. TOM DAVIS (R-VA): You can say a lot of things about Newt, and he sometimes ruled with an iron fist, but you can't say he was a bad Speaker. He was a change Speaker and took the Republicans to the promised land after 40 years out of power. KERLEY: The complaints? Gingrich had a million ideas, but many were a distraction. He lacked discipline and often put himself before the party. Some Republicans were fed up. In fact, a coup led by then-House member Lindsey Graham in the late '90s failed. Today, Graham said Gingrich has matured, but won't get his endorsement, either. SENATOR LINDSEY GRAHAM (R-SC): I think he's levelled out as a person, and all of us, even his worst critics, would say that Newt is a guy that can really hold a room. KERLEY: Well, I spoke to many Republicans who are critical of Gingrich. Many would not go on camera. Why? Because they think Gingrich could actually win the nomination and may take retaliation. David?